Bachelor Records in Austria continues to drop the nasty stuff. This time, they’re delivering us the scuzzy, guitar-fueled racket of UV GLAZE. UV Glaze operates as a four piece wrecking crew of noise-hungry guitar-shredding mutants from Berlin. This video should help answer many of your questions, and it goes to show what they’re going for besides simply berating your ear drums. Thankfully, their new self-titled 7″ gives us a look at their ravaging noise-punk attack minus all of the ear-crushing feedback. EP single “Daily Vomit” unfolds with an elastic bass line that reveals babbling vocals and a beam of wigged-out guitar that only grows crazier. “Dial 0” opens with guitars already clawing at your face and they don’t settle down for a second. The crunch turns into a sustained pummeling complete with bruising tom-toms and an overarching beam of painstaking guitar clamor. They best part is that they don’t give up for nearly three whole minutes. They deliver the final punch with “New Taste,” which comes dominated by spiny guitar hooks and a deep, muddy bass line. Check “Daily Vomit” right below and grab this little scuzzball from Bachelor Records before it’s too late! BUY the 7″ EP from Bachelor Records now ! 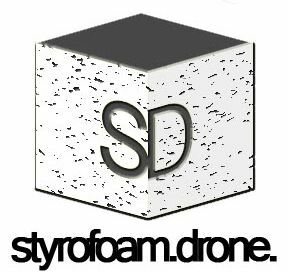 Posted on October 7, 2014 by styrofoamdronePosted in 7", ReviewsTagged Bachelor Records, Lo-Fi, noise rock, punk, UV Glaze.